Currently reading: I have three books on the go at the moment, – The Grapes of Wrath by John Steinbeck, from my TBR shelves. I’m only up to chapter 3 so far but I’m enjoying his descriptive writing so much as Tom Joad returns to his family home in Oklahoma during a drought as a storm blew up and dust clouds covered everything. Tom, convicted of homicide has just been released from prison after serving four years of a seven year sentence. 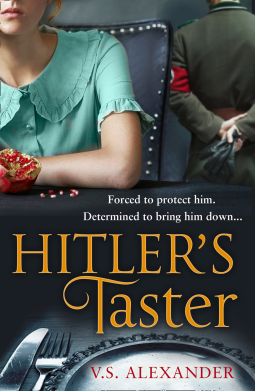 I’m also reading Her Hidden Life by V S Alexander, a novel set in Germany during the Second World War, about the life of Magda, one of Hitler’s food tasters. See yesterday’s post for the opening paragraph and synopsis. I’m in chapter 6 at the moment when Magda sees photos taken by an SS officer at Auschwitz, that show that Hitler is lying about how the Reich is dealing with Jews and prisoners of war near the Eastern front. 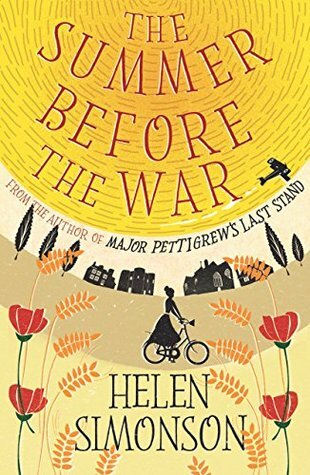 The third book I’m reading is The Summer Before the War by Helen Simonson, about the summer of 1914, set in Rye in East Sussex when spinster Beatrice Nash arrived to teach at the local grammar school. Her appointment was the result of Agatha Kent’s and Lady Emily Wheaton’s wish to have a female teacher as a Latin teacher. I’m in the middle of chapter 5 in which Beatrice is at Lady Emily’s annual garden party with the school governors, the Headmaster and staff and some of the local dignitaries. I’m finding it rather slow-going so far. 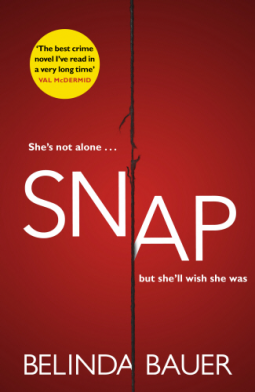 The last book I finished is Belinda Bauer’s latest book Snap, one of my NetGalley books. It’s crime fiction about Jack and his sisters and what happens to them after their mother is murdered. Belinda Bauer’s books are so original, full of tension and suspense. I’ll write more about it in a later post. 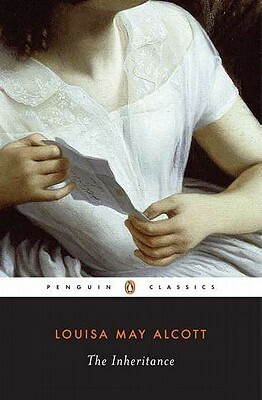 What do you think you’ll read next: I shall probably read The Inheritance by Louisa May Alcott next, or if not next then by the end of the month as it’s the book chosen by my book group for our May meeting. Currently reading: Blacklands by Belinda Bauer, one of the books I got last week from Barter Books. Steven Lamb is 12 when he writes his first letter . . .
Every day after school, whilst his classmates swap football stickers, twelve-year-old Steven digs holes on Exmoor, hoping to find a body. His uncle disappeared aged eleven and is assumed to have fallen victim to the notorious serial killer Arnold Avery – but his body has never been found. Steven’s Nan does not believe her son is dead. She still waits for him to come home, standing bitter guard at the front window while her family fragments around her. Steven is determined to heal the widening cracks between them before it’s too late – even if that means presenting his grandmother with the bones of her murdered son. So Steven takes the next logical step, carefully crafting a letter to Arnold Avery in prison. And there begins a dangerous cat-and-mouse game between a desperate child and a bored psychopath . . . I didn’t finish Little Dorrit, my Classics Club spin book by 30th April, the Club’s deadline, but I’m carrying on reading it. I shan’t include it in later My Week posts until I’ve read a lot more of it. Yesterday I finished Why We Sleep by Matthew Walker, one of my NetGalley books that have been stopping me from reading my TBRs. This book extols the benefits of getting a full eight hours sleep each night and warns of the dire consequences if you don’t. I shall write more about it in a later post. What do you think you’ll read next: I do enjoy deciding what to read next but the thing is that I often change my mind. 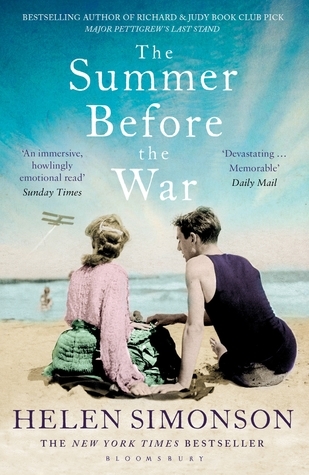 At the moment I’m leaning towards reading The Summer before the War by Helen Simonson. But it could be something else when the time come to decide. It is late summer in East Sussex, 1914. Amidst the season’s splendour, fiercely independent Beatrice Nash arrives in the coastal town of Rye to fill a teaching position at the local grammar school. There she is taken under the wing of formidable matriarch Agatha Kent, who, along with her charming nephews, tries her best to welcome Beatrice to a place that remains stubbornly resistant to the idea of female teachers. But just as Beatrice comes alive to the beauty of the Sussex landscape, and the colourful characters that populate Rye, the perfect summer is about to end. For the unimaginable is coming – and soon the limits of progress, and the old ways, will be tested as this small town goes to war. Currently reading: I haven’t made any more progress with Little Dorrit, my Classics Club spin book and there is no way that I’ll finish it by 30th April, the Club’s deadline. But I shall carry on reading it and will finish it later on. 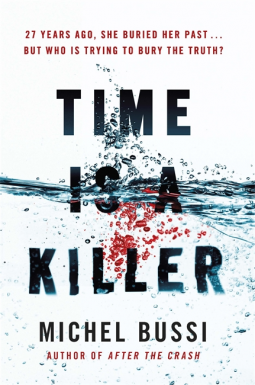 I am reading the book I said I might read next in last week’s Wednesday post – Time is a Killer by Michel Bussi, which was published on 5 April 2018 and am enjoying it so far. Twenty-seven years later, she returns to Corsica with her husband and their sulky teenage daughter. Clotilde wants the trip to do two things – to help exorcise her past, and to build a bridge between her and her daughter. But in the very place where she spent that summer all those years ago, she receives a letter. From her mother. As if she were still alive. As fragments of memory come back, Clotilde begins to question the past. And yet it all seems impossible – she saw the corpses of her mother, her father, her brother. She has lived with their ghosts. But then who sent this letter – and why? Yesterday I finished Major Pettigrew’s Last Stand by Helen Simonson, the book I wrote about in last Friday’s post. For now I’ll just say that on the whole I enjoyed it and I’ll try to sort out my thoughts and maybe post a review later in the week. It’ll probably be Why We Sleep by Matthew Walker, one of my NetGalley books that I’ve been meaning to get round to before now. Sleep is one of the most important aspects of our life, health and longevity and yet it is increasingly neglected in twenty-first-century society, with devastating consequences: every major disease in the developed world – Alzheimer’s, cancer, obesity, diabetes – has very strong causal links to deficient sleep. Until very recently, science had no answer to the question of why we sleep, or what good it served, or why its absence is so damaging to our health. Compared to the other basic drives in life – eating, drinking, and reproducing – the purpose of sleep remained elusive. 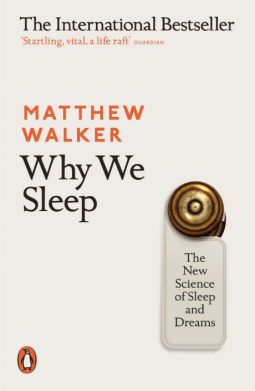 Now, in this book, the first of its kind written by a scientific expert, Professor Matthew Walker explores twenty years of cutting-edge research to solve the mystery of why sleep matters. Looking at creatures from across the animal kingdom as well as major human studies, Why We Sleep delves in to everything from what really happens during REM sleep to how caffeine and alcohol affect sleep and why our sleep patterns change across a lifetime, transforming our appreciation of the extraordinary phenomenon that safeguards our existence. Or will it be something else? I’m not sure. Currently reading: I’ve made some progress with Little Dorrit, my Classics Club spin book. I’ve met the Meagles family with their spoiled daughter, Pet and her maid and companion, the wonderfully named Tattycoram, and also Arthur Clennam, recently returning to England from China. Arthur goes to his family home, a dark decrepit house in London where his mother lives, his father having recently died. But I haven’t met Little Dorrit yet – still a long way to go in this book. 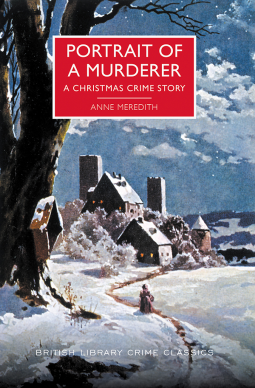 I’m also reading Portrait of a Murderer by Anne Meredith, which is what it says in the title. I’ve nearly finished this book, which is fascinating, even though it is so long winded. Thus begins a classic crime novel published in 1933 that has been too long neglected – until now. It is a riveting portrait of the psychology of a murderer. Each December, Adrian Gray invites his extended family to stay at his lonely house, Kings Poplars. None of Gray’s six surviving children is fond of him; several have cause to wish him dead. The family gathers on Christmas Eve – and by the following morning, their wish has been granted. This fascinating and unusual novel tells the story of what happened that dark Christmas night; and what the murderer did next. 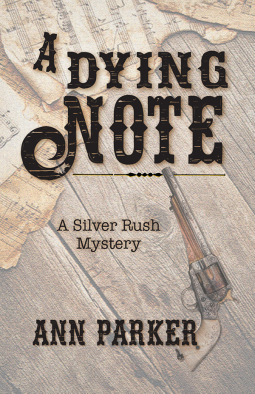 I’ve recently finished A Dying Note by Ann Parker, her latest book in the Silver Rush Mysteries, which was published on 3 April 2018. I loved this book, set in the autumn of 1881 in San Francisco, where Inez Stannert is making a new start in life, managing a music store. All is going well until the body of a young man, Jamie Monroe, is found washed up on the banks of Mission Creek canal. I posted my review on Monday and gave it 4 stars. Will it be Time is a Killer by Michel Bussi, which was published on 5 April 2018 and in last week’s post was the book I said I might read next? Or will it be something else? I still don’t know. It’s autumn of 1881, and Inez Stannert, still the co-owner of Leadville, Colorado’s Silver Queen saloon, is settled in San Francisco with her young ward, Antonia Gizzi. Inez has turned her business talents to managing a music store, hoping to eventually become an equal partner in the enterprise with the store’s owner, a celebrated local violinist. Inez’s carefully constructed life for herself and Antonia threatens to tumble about her ears when the badly beaten body of a young musician washes up on the filthy banks of San Francisco’s Mission Creek canal. Inez and Antonia become entangled in the mystery of his death when the musician turns out to have ties to Leadville, ties that threaten to expose Inez’s notorious past. And they aren’t the only ones searching for answers. Wolter Roeland de Bruijn, “finder of the lost,” has also been tasked with ferreting out the perpetrators and dispensing justice in its most final form. Leadville’s leading madam Frisco Flo, an unwilling visitor to the city with a Leadville millionaire, is on the hook as well, having injudiciously financed the young musician’s journey to San Francisco in the first place. Time grows short as Inez and the others uncover long-hidden secrets and unsettled scores. With lives and reputations on the line, the tempo rises until the investigation’s final, dying note. The Great Fire has ravaged London, wreaking destruction and devastation wherever its flames spread. Now, guided by the incorruptible Fire Court, the city is slowly rebuilding, but times are volatile and danger is only ever a heartbeat away. James Marwood, son of a traitor, is thrust into this treacherous environment when his ailing father claims to have stumbled upon a murdered woman in the very place where the Fire Court sits. Then his father is run down and killed. Accident? Or another murder…? Determined to uncover the truth, Marwood turns to the one person he can trust – Cat Lovett, the daughter of a despised regicide. Marwood has helped her in the past. Now it’s her turn to help him. But then comes a third death… and Marwood and Cat are forced to confront a vicious and increasingly desperate killer whose actions threaten the future of the city itself. I’ll post my review soon – I loved this book, following the story that began with The Ashes of London. 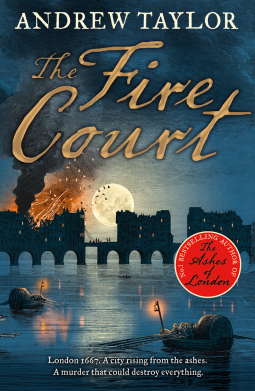 I have started to read The Fire Court by Andrew Taylor, due to be published 5 April 2018 and it’s looking good so far. 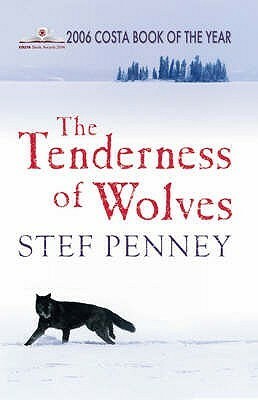 The last book I finished is The Tenderness of Wolves by Stef Penney, historical fiction set in Canada in 1867. I am so, so pleased to finish this as it has taken me almost 4 weeks to read it. I found it really hard to get into it at first and disliked the use of the present tense throughout. But overall I did like the story and will try to expand on these thoughts in a separate post. Now the difficult part – what to read next! I really should get back to reading Little Dorrit which I temporarily put on the back burner so that I could finish The Tenderness of Wolves. It’s my Classics Club Spin book but haven’t got very far with it yet and it’s looking extremely unlikely that I’ll finish it by the end of April! 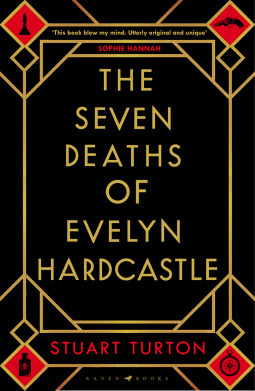 But I am so tempted to read The Seven Deaths of Evelyn Hardcastle by Stuart Turton that I’ve borrowed from my local library as I suspect I won’t be able to renew it. I’m making progress with The Tenderness of Wolves by Stef Penney, historical fiction set in Canada in 1867. In last week’s post I wrote that I wasn’t enjoying it as much as I hoped, or expected, but now I’ve read about 40% of the book I’ve settled more into the story as Lucy Ross heads north into the forest following the trail of her son Francis, suspected of murdering Laurent Jammet. Although, I am still finding the number of characters rather confusing and am uncomfortable with the use of the present tense. 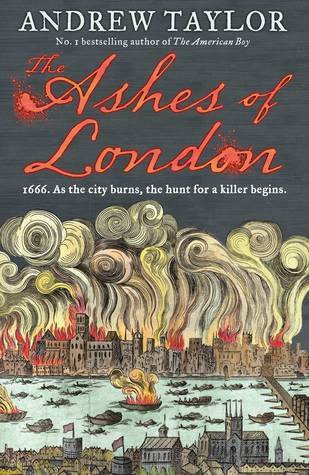 I’m also reading The Ashes of London by Andrew Taylor and am totally immersed in the aftermath of the Great Fire of 1666 as work begins on rebuilding London. There is mystery too as among the many dead bodies a body of a man is found in the ruins of St Paul’s Cathedral – stabbed in the neck, thumbs tied behind his back. There are two strands to the story, one narrated in the first person by James Marwood, whose father was a Fifth Monarchist, and the other in the third person by Cat Lovett, also the child of a Fifth Monarchist, whose father was one of the Regicides, and is now a fugitive. 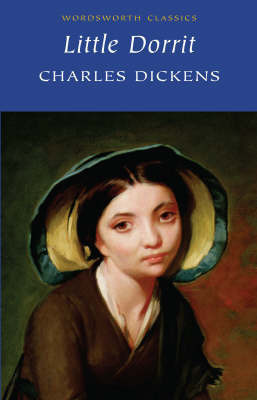 And I have made a start in reading my Classics Club spin book – Little Dorrit. I was quite surprised to find it doesn’t begin in the Marshalsea Debtors’ prison but in a prison in Marseilles in 1826 with a notorious murderer Rigaud telling his cell mate how he killed his wife. 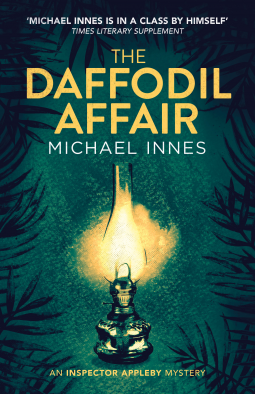 The last book I finished is The Daffodil Affair by Michael Innes, pure escapism, an Inspector Appleby book about a house in Bloomsbury that had disappeared, two young girls who had been kidnapped in York and London, and a cab horse named Daffodil that had gone missing in Harrogate. I posted my review on Saturday. It could be the sequel to The Ashes of London, The Fire Court by Andrew Taylor, due to be published 5 April 2018.Or it could be something different as I never really know until the time comes to start another book what I want to read next.